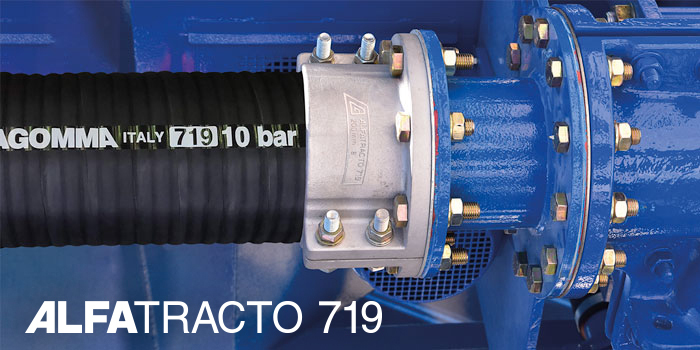 The new ALFATRACTO 719 hose & muff coupling system is specially designed for maximum abrasion resistance and long-lasting service in heavy duty mining and construction applications. The hose corrugated cover improves flexibility and ease of installation. The two reusable aluminum half shells can be quickly mounted on 719AA on site. Universal flanges compatible with PN 10, ASA 150 and Table D/E.